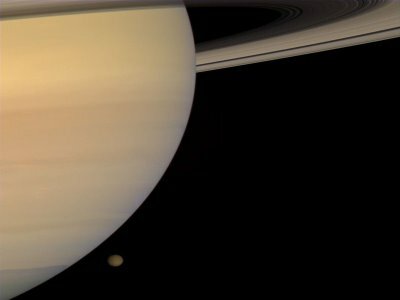 Researchers at the DLR-Institut fur Planetenforschung in Berlin, after studing data from the Cassini probe, believe it rains on Titan, and that rain runs into rivers and into at least one large lake – of liquid ethane, a primary component of liquid natural gas. We saw the band at the Chicago Theater last night. It was a delightful, nostalgic, and energetic almost two-hour set that the band turned in, easily the most enjoyable concert we heard all summer (except of course hearing TOP in Fort Wayne in May). Philip Bailey’s voice is a bit rougher, but he still has the range when he needs it and has the power up there as well. B. David Whitworth, who has been with the band as vocalist and percussionist since the mid-1990s, was almost as energetic as 57-year-old Verdine White, who is still the most animated bass player I’ve ever seen. He’s an entire entertainment by himself! An interesting side note: I always assumed Verdine was Maurice White’s son. 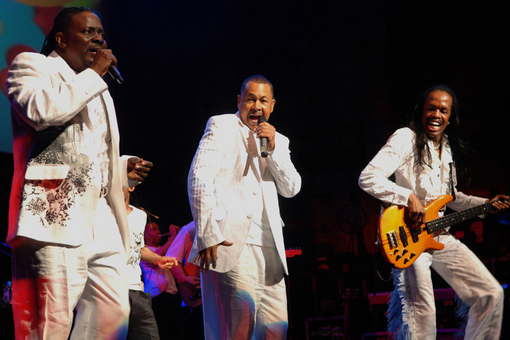 Maurice is credited with founding EWF; he no longer tours with the band because of Parkinson’s Disease. It turns out Verdine is his younger brother, and was only 19 when he started playing in the band. Anyway, it was a very positive, enjoyable night, with a band that produces some of the most uplifting vibes out there, and an audience that adored them and helped raise the spirits of everyone even higher. Bravo, gentlemen! 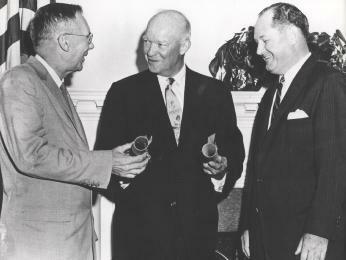 50 years ago today President Eisenhower signed the legislation creating the National Aeronautics and Space Administration. It’s had a bumpy 50 years, but the agency has been responsible for inspiring millions of people all over the world. No matter what what you may say, NASA has done more for space exploration that any other agency in the world. This Friday, August 1, is the 20th anniversary of Rush Limbaugh’s national radio show. He, of course, will credit his listeners, sponsors, radio stations, and business partners with creating his enormous success. 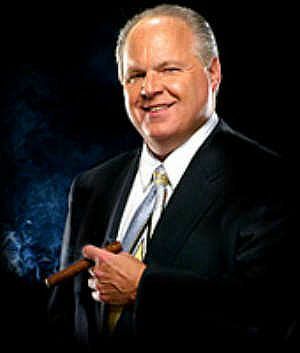 However, it really is Rush himself that makes it all happen, and that’s why he is the ultimate big dog in talk radio. He also is one of the three most influential political conservatives ever in the US. First came William F. Buckley, who did more than anyone, post-WWII, to define and promote the conservative movement. Second came Ronaldus Magnus, the 40th President of the United States, Ronald Reagan, who brought conservative principles to all Americans and proved they could be used to provide more freedom and opportunity to all. And then there’s Rush. College dropout, former disc jockey and former promotions director for the Kansas City Royals. He became a major media success after the repeal of the so-called “Fairness Doctrine,” and now has a daily audience of over 20 million people. Rush can be belligerent, cantankerous, stubborn, and delightfully funny. He understands and uses hyperbole better than anyone I know. He also is a patriot of the first order and has done more to form my political views than anyone. Happy Anniversary, Rush, and I hope you have many, many more! Ed Mitchell says aliens exist! 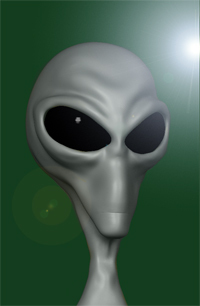 Dr. Edgar Mitchell, Apollo 14 astronaut, said in a radio interview that aliens exist and the US government has known about it for over 60 years. He said he was aware of several visits during his lifetime, but all have been covered up. He said they look like the “grey aliens” referred to in a lot of the popular literature. I’d love to believe that alien visitation was real. I kind of go back and forth – one day yeah, probably; the next probably not. Today is apparently a “yeah, probably” day. Ya gotta believe an Apollo astronaut, right? Hi kids – this is to let you know that this is a blog with moderated comments. That means I’ll keep the spam out, with the help of WordPress, and I’ll delete anything else I don’t think is useful or thought-provoking. It’s my blog, and if you want to air your opinions, you can get your own little bloggish space, of course. I’ve responded to a couple of comments I let through so far. If your comment doesn’t pass muster with me, it won’t end up being visible. Sorry, but it’s my sandbox and my toys. JFK was not a jelly doughnut! I just heard Rush just talking about it on the radio, so I checked it out. It was a great little story, though. And in the same speech, JFK predicted the fall of Soviet tyranny…which was achieved by Ronaldus Magnus, of course. 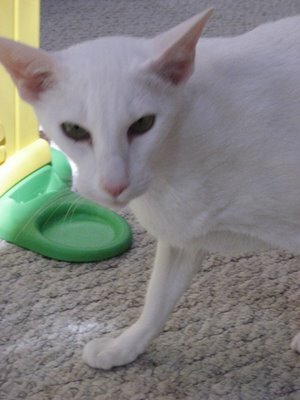 You are currently browsing the The Old Gray Cat blog archives for July, 2008.